Influencer marketing has become one of the top ways companies, including Seriously, amplify their message. But recently, influencer marketing has been receiving criticism as it’s becoming more and more difficult for marketers to decipher real, meaningful engagements from bots. Despite backlash, influencer marketing remains a valuable tool. To date, Seriously has worked closely with influencers to create over 3,000 pieces of video content across platforms and don’t plan on slowing down any time soon. By pivoting strategies and focusing on creativity over influence, companies can continue to find success with influencer marketing. 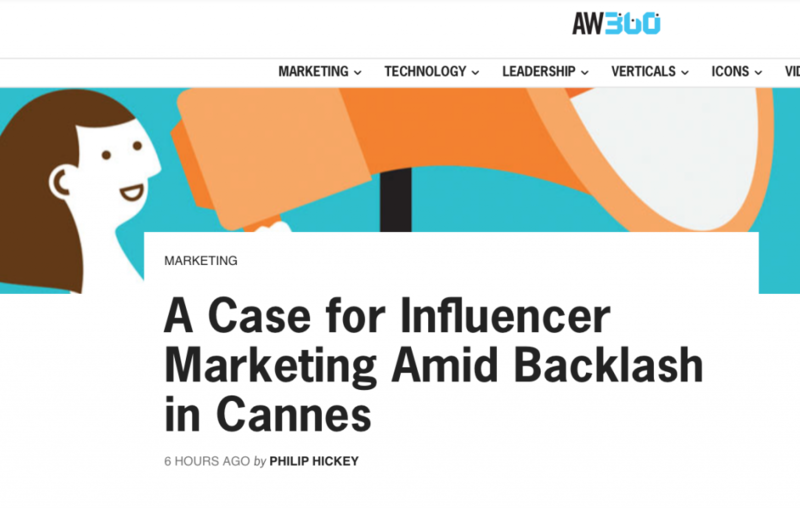 Philip Hickey, SVP of Brand & Marketing, explains how to apply best practices and develop effective influencer marketing campaigns in his byline in Advertising Week.